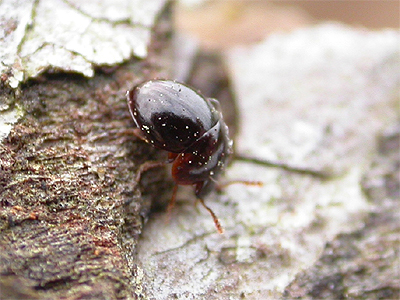 Often referred to as Shiny Fungus Beetles, beetles of the Genus Agathidium are small beetles with a distinct appearance. 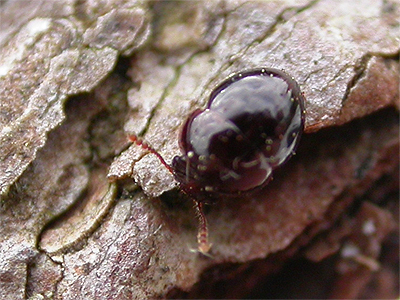 Their preferred habitat is on and around tree fungus, but their small size can mean they are difficult to spot. Agathidium seminulum continues to be known only from Sherwood Forest, with records in 1960 (Skidmore, P.); 1963 (Johnson, C.); 1978 (Hunter, F.A.) and 2000 (Drane, A.B.). The latest record is of one found under the bark of a long-dead Pine at Clipstone Old Quarter in April 2018. 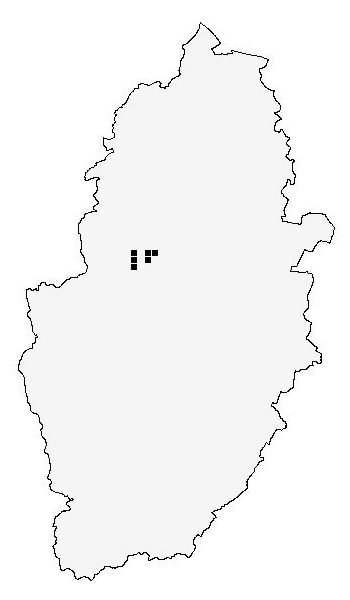 The records for the Nottinghamshire distribution map are currently provided by the following contributors - Sherwood Forest Visitor Centre Records. Natural England - Invertebrate Site Register 2006. Trevor and Dilys Pendleton. Sherwood Forest Invertebrate Directory 2014.